Diabetes is a medical condition because of which the blood glucose levels rise higher than normal. It is also known as hyperglycemia. Type 2 diabetes (formerly known as non-insulin-dependent diabetes) is the most common form of diabetes. 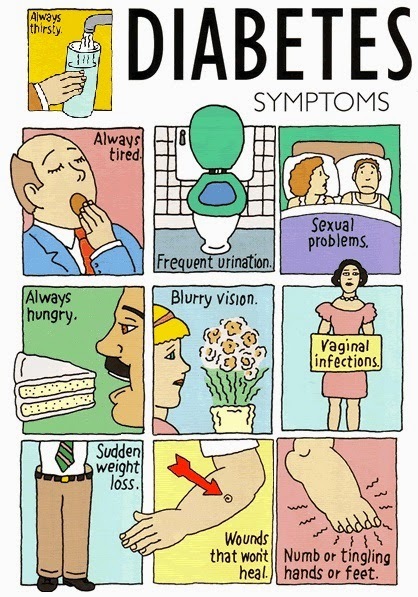 This is a chronic or lifelong disease and occurs mainly in people aged over 40 years. This is a metabolic disorder characterized by high blood sugar or hyperglycemia. People with the type 2 diabetes generate insulin in their bodies unlike the type 1 diabetes. In these cases the either the body is unable to use the insulin generated or it does not make enough insulin. 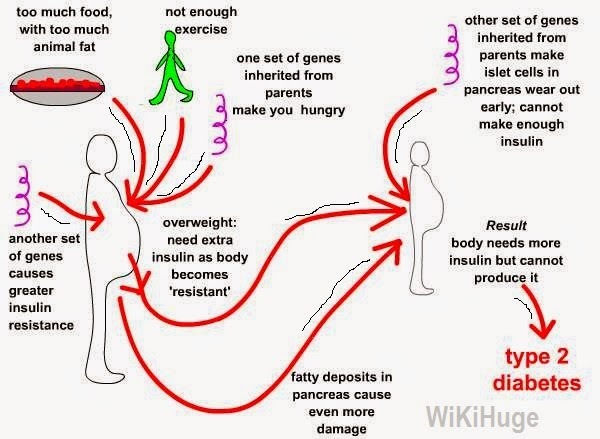 Due to this type of insulin resistance, the glucose accumulates in the blood instead of being passed on to the cells to get stored for energy. Insulin is a peptide hormone produced by beta cells in the pancreas. Its function is to regulate fat and carbohydrate to cells. It is then stored there and used for energy later. In type 2 diabetes, the body fat, muscle cells and liver do not respond to insulin, resulting the blood sugar not entering the cells to store energy. Most people are overweight when they are diagnosed with the disease. Diabetes screening is recommended for overweight children, overweight adults and every 3 years for adults over 45 years of age. For a patient with type two diabetes, it is recommended to see their healthcare provider every three months for a diabetes test. If not treated, diabetes type 2 can lead to many complications to include eye problems, infections and sores on the skin, inability to control blood pressure and cholesterol levels, diabetic neuropathy and kidney damage. At first, the treatment of diabetes is to lower the high blood glucose levels in a patient. After the blood glucose level is brought to an acceptable level, the treatment may move on to prevent problems from diabetes. Physical activity and proper nutrition is imperative to manage the type 2 diabetes. It is important for someone with type 2 diabetes to look after their health very carefully. It becomes easier to treat a patient that takes care of their health and minimizes the risk of developing complications of the disease. Regular reviews: Type 2 diabetes is a long term disease and needs review of the blood sugar level in regular intervals as advised by the physician. Eating healthy: Eating a healthy and balanced diet is another important key to keeping the blood glucose levels controlled. It is advised to reduce the amount of sugar, fat and salt in the daily diet and increase the intake of fibre. Physical activity: Regular exercise and physical activity helps reducing the body glucose level and therefore is very important for someone diagnosed with diabetes. It is also recommended for a diabetic patient to quit smoking and limit alcohol. Type 2 diabetes can be prevented by maintaining a healthy body weight and an active lifestyle.